Regardless of your industry or the size of your organization, TotalSDI provides a common language and easy-to-understand structure for developing your most important asset – your people! We all know that healthy organizations that engage people don’t just happen. It takes intentional choices to build, nurture and sustain the kind of leaders who know how to authentically connect with people and tap into what drives them. 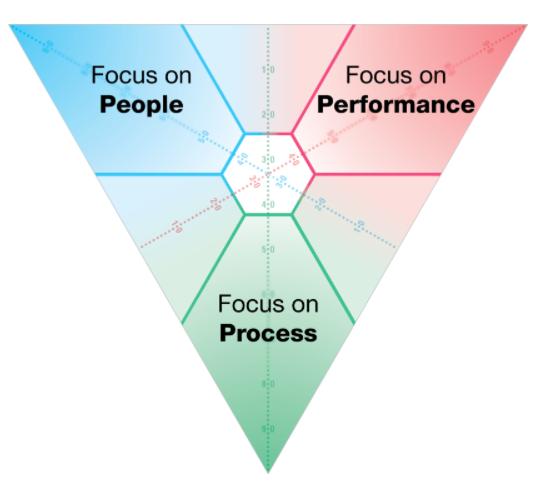 This focus on people doesn’t detract from performance; rather authentic leaders achieve superior results through strong relationships. That’s the power of TotalSDI. TotalSDI improves the relationships that affect the quality of everything your organization does by helping people learn the ABC’s of healthy leadership. When people learn how to Assess the motives driving behaviors, Bring the right strengths when they matter most, in order to Communicate in the right style to lead others, they are on their way to greater engagement and productivity, both internally and with clients. Based on more than 45 years of rigorous research and real-world experience, TotalSDI engages learners with cutting-edge technology and teaching methods – and it focuses on application. What good is theory if it doesn’t impact the bottom line or meet your goals? I try not to play favorites, but with TotalSDI I can access a suite of eight easy-to-use and easy-to-understand tools that are flexible enough to meet all of your organizational goals. I love the opportunities to unlock the mysteries of personal motivation so you and your organization can develop effective leaders, build stronger teams, create new cultures and effectively deal with the inevitable conflicts that happen at work. These tools are based on a self-learning model for effectively and accurately understanding the motives behind behaviors, so that people can pick the right strength, at the right time for the right reason to get the right results when it matters most. TotalSDI provides a framework for understanding motivations when things are going well and when important relationships slide into conflict. The common, friendly language helps create a safe environment for people to talk about the challenges they face with their interpersonal relationships. It also helps that the motivations we all have are connected to colors that make them memorable and sticky. TotalSDI was the first tool to use color to make results memorable. 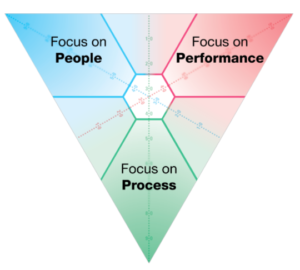 Blue represents a focus on People, Red on Performance, Green has a focus on Process, and the HUB, which is in the middle represents a focus on Partnership and Perspective. When we really understand what makes people tick – both when things are going well and when there is conflict – we can make better decisions, be more engaged and ultimately be more effective. These tools, to me, are like pathways to connection. They are smarter, stickier and more useful than most products out there. I know ROI is big, but you must think through the CWI, the Cost Without Investment. What might you miss by not training and developing yourself and your people? Bottom line, TotalSDI is a powerful tool for all levels of an organization. The critical insights it provides enable leaders and team members to better understand how to influence people who think, behave, and communicate differently than themselves. TotalSDI helps leaders at all levels focus on how they communicate and work with one another and how they use individual and team strengths in light of their business needs. The result is reduced conflict and increased collaboration and trust that builds productive and sustainable relationships. ALL RIGHTS RESERVED. NO FOR REAL © 2014-2017. CREATED by HOUSEKEEPING MEDIA. TOTALSDI IS A TRADEMARK OF PSP, Inc.